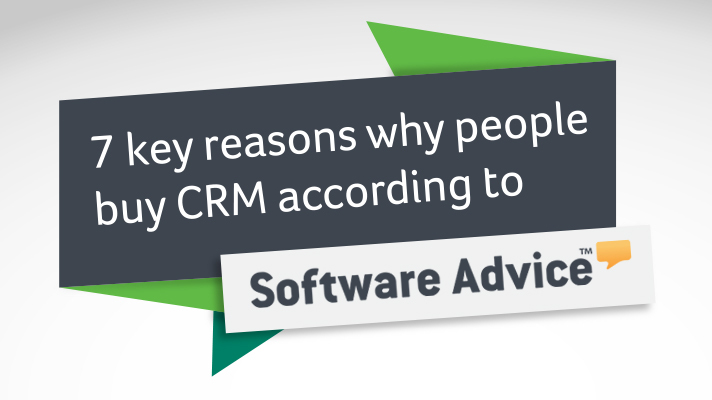 Every year, Software Advice interviews thousands of organisations looking for the right customer relationship management (CRM) software. During 2014, the software review and research company evaluated interactions with small-business buyers from companies with annual revenues of USD100 million or less in the United States, the U.K. and Australia. Software Advice wanted to understand the type of applications, features and integrations CRM software buyers want. The researchers also sought to understand the most common reasons why business people buy CRM. According to the report, new buyers who currently use manual methods to manage their customers' information evaluate CRM software because they want to research the benefits of CRM, centralise their information and automate key tasks. "These results are in line with Gartner’s finding that over 60 percent of all business-to-business (B2B) software buyers cite “self-driven information search” as their most preferred method at every phase of the buying cycle," said Jay Ivey, Market Research Associate with Software Advice. "Of U.S. buyers seeking an integrated suite, 88 percent want a combination of sales and marketing automation. So small businesses are increasingly looking to implement a full, end-to-end CRM solution," said Ivey. In comparison to this figure (88 percent), 10 percent of people purchased CRM because they wanted a customer service application. "They want to better aligns marketing and sales. They want to enable sales reps with access to lead nurturing data and interaction histories from across the sales pipeline." "This means growing opportunities for vendors that offer a broader small-business-centric suite of sales, marketing and service applications, and for vendors of standalone solutions that offer integrations with popular services such as Gmail, MailChimp and Zapier." 3. 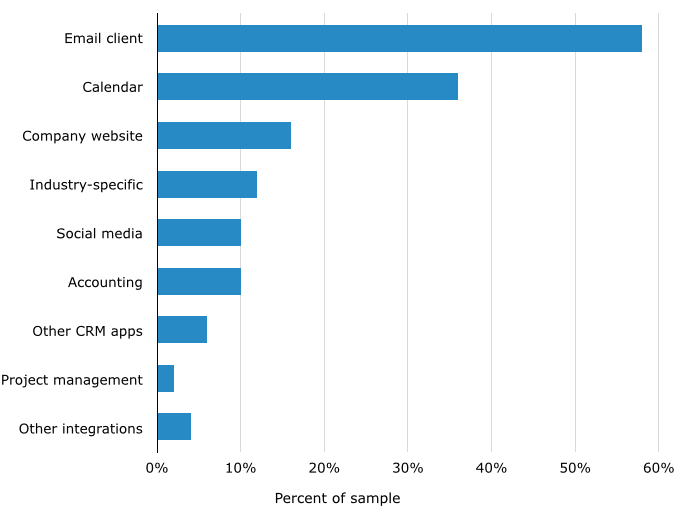 The most common requested CRM integrations are with email clients, a calendar and a company's website. Software Advice found most CRM buyers wanted to import contacts, keep on top of tasks and meetings and track tasks. "When we asked small-business CRM buyers why they were evaluating software, the most common response was that they were simply interested to learn more about how CRM software in general could help their business, or about how more robust systems might improve upon their current solution," said Ivey. "The ability to keep all professional calendars synchronized helps employees stay on top of follow-up reminders, tasks and meetings, regardless of whether they’re working within their CRM system or not." These manual methods include pen and paper or spread sheets and this figure is up from 44 percent in 2013 to 53 percent. 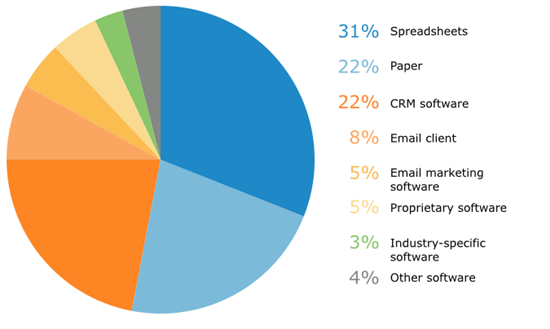 "The vast majority of small-business CRM buyers are still looking for basic contact management, with 62 percent seeking a standalone application for sales force automation (SFA)," said Ivey. "SFA is typically the first step for businesses to organise their customer data and track customer interactions across the sales funnel. As such, it’s long been the first thing small businesses look for when it comes time to adopt a real CRM technology strategy." Software Advice found that while small businesses buy CRM to manage contacts and automate sales, 37 percent of buyers (up from 7 percent in 2013) look for a combination of Sales Force Automation (SFA) and marketing automation in their CRM solution. Ivey added, "We also found that 42 percent of small-business buyers in the U.S. were looking for an integrated suite of multiple CRM applications, as opposed to a single standalone solution for just sales force automation, just basic marketing automation or just customer service." This finding is up from 48 percent in 2013 to 71 percent, and Software advice attributes the growth of cloud CRM to the scalability and affordability of this type of CRM software. "The overwhelming preference for online systems makes particular sense for small-business buyers, as Web-based deployment significantly reduces upfront investment and installation costs," said Ivey. "It also saves smaller companies—which often have limited resources—from having to dedicate the IT resources required to maintain a system on their own servers." "Despite widespread adoption of social media, many small businesses have been slow to take advantage of the opportunities offered by social media engagement." "If a company hopes to forge richer and deeper relationships with customers and prospects through more meaningful and personable interactions on social media channels, a social CRM tool is definitely worth considering." You can read the complete Software Advice Small Business Report here. Do have questions about why people buy CRM? Please let us know by reaching out to @SageCRM.